Venus is retrograde in Scorpio from October 5th – November 15. The big news for this week is that Venus will be retrograde from Friday, October 5th until November 16th. All planets except for the Sun and the Moon go retrograde- and, as you probably know by now, the planet does not actually begin to go backwards; rather it appears to be that way from the earth. The retrograde cycle for any planet is a time to revisit, review, refine, and reconnect. 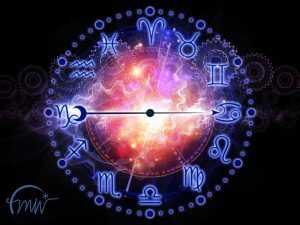 In the language of karmic astrology, retrograde time periods are also when we dig into our past lifetime patterns and correct mistakes. Each planet is a teacher, and to understand the cosmic message, you have to think about what the planet has for us to learn. The Venus retrograde mission for your soul is to move past resentment and reveal a fresh new start. The core lesson of Venus is ‘VALUE’ – these are the things we hold dear such as relationship and money, stability, connection, and flow. And, the message for Venus retrograde in Scorpio is to uncover our own discontent and learn to love the parts of yourself that we have either buried or cast aside. In short, it’s a time to declare your love of self. Such a powerful mission! Self-Love is an inside job done day by day and minute by minute. You heal your past failures, confront the times when you were rejected, and claim personal love. When this pain is healed you are able to connect with the world in a Scorpio / 8th house fashion where you own your power and express your creativity. But, as taught by the ancients through the journey of Inanna, the meat of Venus retrograde is that of going into the Underworld. Venus is about beauty, but like the Lotus blossom, even the goddess must dig into the mud where she gets nourishment to feed her beautiful flower. In addition to the big picture of Venus retrograde, on Tuesday, Mercury square Pluto adds a sense of urgency to your mission. Mercury and Pluto, ironically the first and last planets in the traditional line up of the Solar System, are good bedfellows – they understand each other. If you need to have an important conversation, Tuesday afternoon or evening is the time to do it because Mercury square Pluto engenders discussion that reveals hidden psychological issues, and this can transform your life. Mars is still standing guard in Aquarius until mid-November. 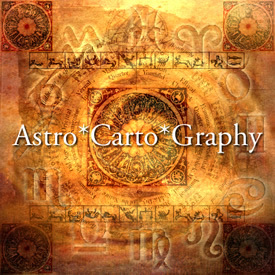 Mars in Aquarius is your time to stand firm and reveal your humanitarian mission. In Aquarius, Mars also gives permission to march to the beat of your own drummer – it’s time to let your freak flag fly. Move past what other people think – this includes judgmental family members, ex-spouses, and old friends that need to be left behind. Plus, Jupiter is now rapidly moving through the last degrees of Scorpio. Jupiter remains in Scorpio until November 7th, and there are still many pearls and underwater treasures to be harvested; so keep up the good work. Use this rich time in October to Dive Deep, go into your heart, heal you soul, claim what you truly value, and fully live your Truth. Wishing you many blessings as you reach for the Stars. It’s already time to look into 2019!! Schedule your update reading HERE.